Homework routine changes to include more Common Core Review pages in preparation for PARCC testing format practice. MARCH: Capacity, Volume, Area and Perimeter. During February students were studying Fractions in various forms: Number Lines, Sets, Equal Groups, Congruent sizing within a shape and Fraction Strips. 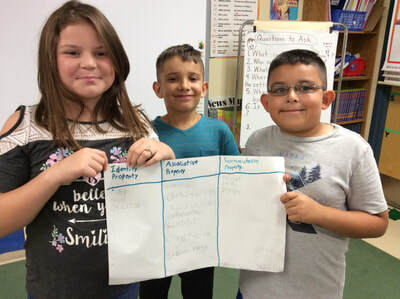 Students are expected to create, compare and locate the values of fractions through teamwork, video lessons and guided lessons throughout our textbook. JANUARY: This month we will be taking timed tests in Multiplication Facts every Thursday. Our Current Chapter is called Multiplication Facts (Chapter 6). Chapter 7 will focus on DIVISION concepts, stories models and number sentences and relating them to Multiplication stories and models. During the month of OCTOBER students began building on the concepts involved in creating Multiplication number sentences. In our Math program we learn to use blocks, shapes, arrays, groups, illustrations, web pages, repeated addition, number lines, patterns, related facts and Problem Solving strategies to solidify our understanding of multiplication concepts. 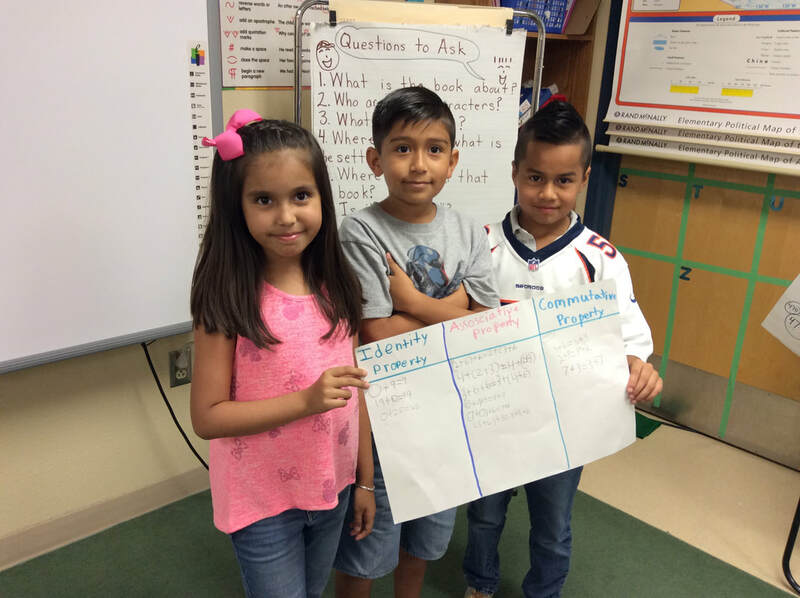 During homework practice students will use 6 of those strategies using a graphic organizer. On Thursdays, students will use Multiplication Tables to practice the facts only (without pictures, arrays or repeated addition). Place Value to the hundred thousands. Breaking down numbers to add and subtract. 90 + 80 = 150 - 9 = 151 (9 comes from rounding up using 4 and 5 extra ones). Textbook: Our textbook is called Envision MATH published by Pearson. The text is used as only one of many resources to teach our students the Common Core Standards in Mathematics. Anchor charts, videos, cards, math tools and notebook entries help the students use Mathematical Practices on a daily basis. 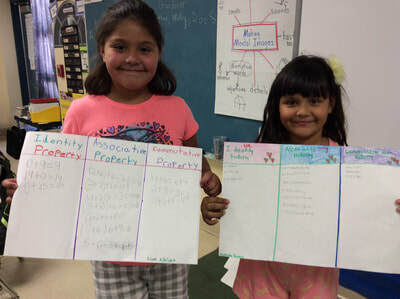 Cooperative learning teams share their posters on "Properties of Addition"